In the morning it is get up and go time in my household. We have the kids getting ready for school and my husband and I getting ready for work or the gym. I am always concerned that my kids nutritiously eat right during the weekdays when we don’t have much time to make a home cooked hearty breakfast. Usually we rely on cold cereal with milk with the occasional hot cereal thrown in. We try to stick to healthy brands of cereal that have fiber, whole grains and oats, and not too much sugar. One thing I have noticed is that my kids don’t have a big source of protein in the mornings. Unfortunately most cereals aside from the milk don’t have much protein content. That was until the people over at General Mills came out with Cheerios Protein. 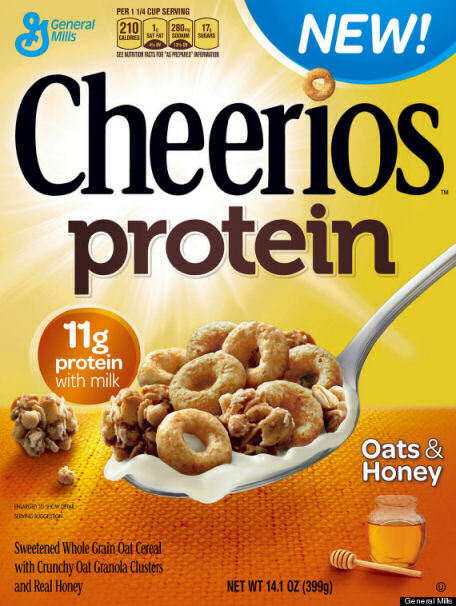 According to the front of the box this new brand of Cheerios has 11 grams of protein. However when you look more closely that is 11 grams of protein with milk. If you read the side nutrition label this Cheerios actually contains 7 grams of protein. (It also contains 16g of sugar per 1 serving – 1 and 1/4 cup (55g) – for those of you watching the sugar intake). Compared to Honey Nut Cheerios that has 1 gram of protein and regular cheerios that has 3 grams of protein, this is a big improvement. By comparison a hard-boiled egg has 6 grams of protein and a can of tuna fish has about 25 grams. Most parents say it’s most important to get protein throughout the day, but six in ten say they get most of their protein at dinner. While 9 out of ten (89%) parents see the importance of starting the day with a protein-rich breakfast, half (51%) admit there isn’t time to prepare it. 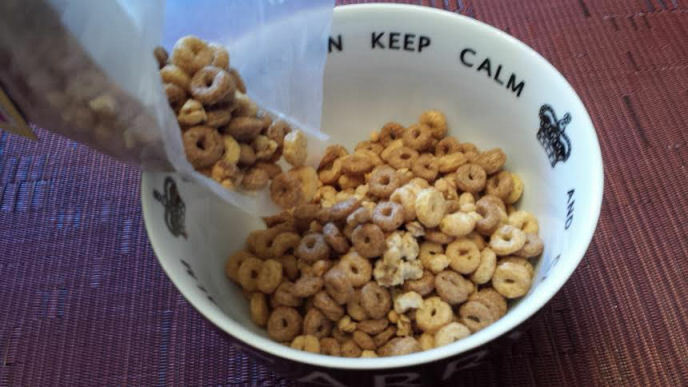 So Cheerios Protein does pack a bit of a protein punch. But what about the taste? 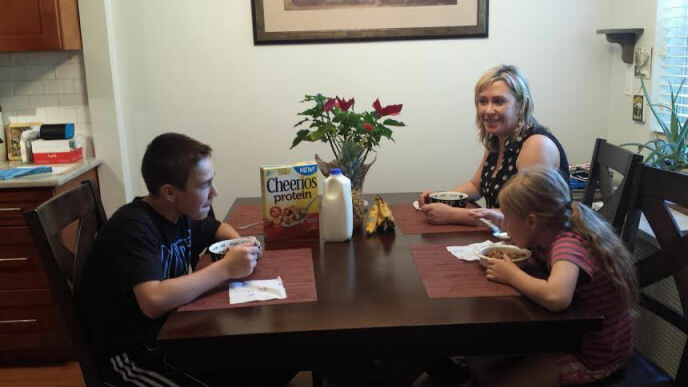 My family and I gave Cheerios Protein Cinnamon Almond a try and it was very tasty. 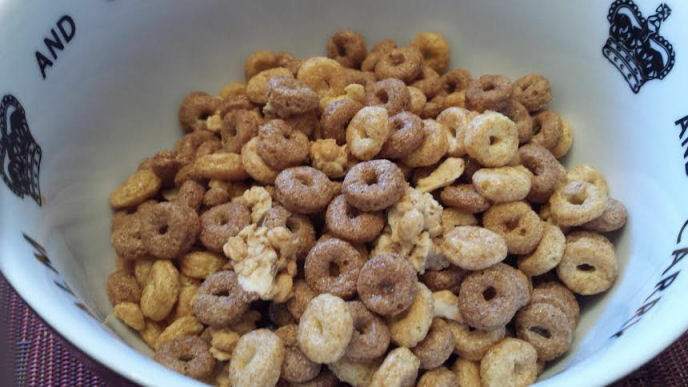 There was a nice contrast with the Cheerios and nut clusters that was balanced out with a smooth cinnamon taste. I have to say I really enjoyed the couple of bowls of Cheerios Protein that I had this past week. I think Cheerios Protein is going to become one of the cereals that we keep in our cabinet in the future. I want to know how do you add the protein to your diet in the morning? Disclosure: I received a sample of the product mention above and the promotional item as a thank you for participating. I would love to try this cereal. My boys are on the autism spectrum and both ADHD. The more protein they eat the more settled they are. Having a cereal that has that much protein would be fantastic!! Charlene N Derry Wakefield and I love my kids shared I love my kids’s photo. Im curious to try it!